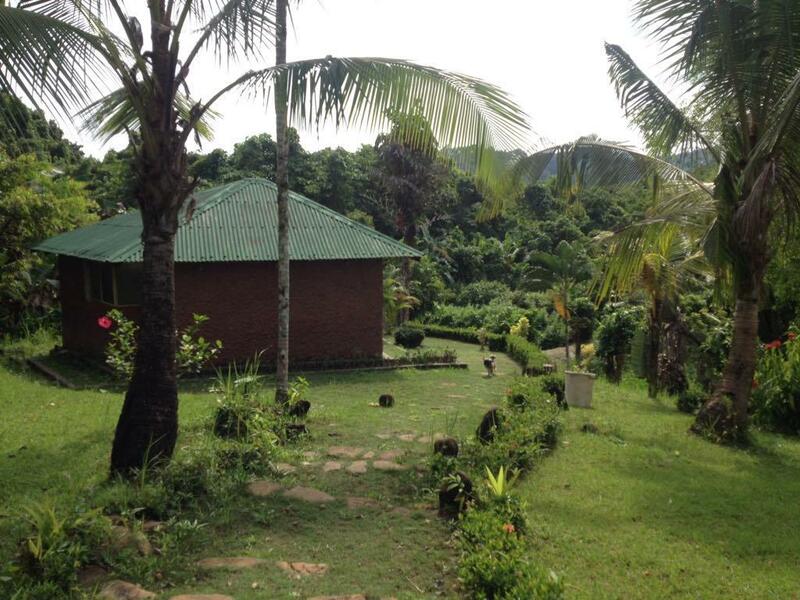 Have a question for Bambua Nature Cottages and Hostel? "The staff was friendly and helped us organize a trip to the underground river." "Incredible grounds that have obviously been well cared for, in keeping with nature." 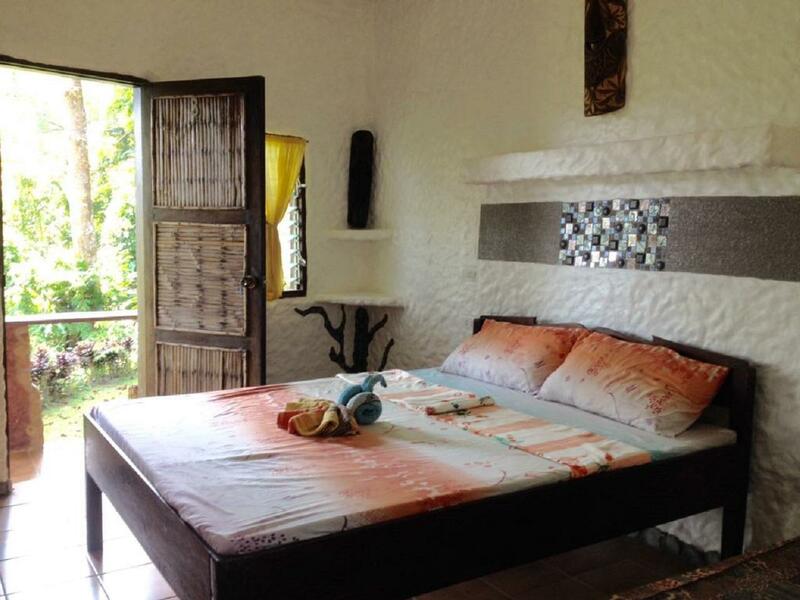 "The owner was lovely and the staff were generally really hel..."
Bambua Nature Cottages and Hostel is situated in Sabang behind a gentle range of hills – just outside the Puerto Princesa Subterranean River National Park, with the famous Underground River. 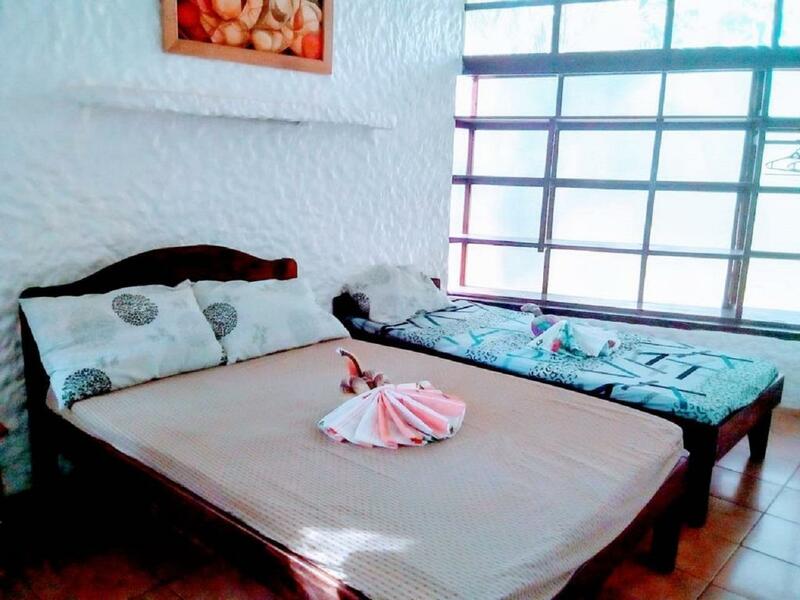 All the facilities at the property are located in an extensive garden landscape, surrounded by the bizarre St. Paul Mountain Chain, by farmland and jungle. "Lovely setup, great people, superb value for money"
Electricity and/or water use is limited per day. Exceeding the limit will result in additional charges that will be payable upon departure. Wi-Fi/Internet access is not available at the property. Bambua Nature Hostel is not the best place we been to during our trip to PH. I would not go back. For low budget choices there is better options. For high end, you can find reasonable priced places too. My friend and I really enjoyed our stay at Bambua. The owners are very nice and helpful. We couldn't help but laugh at previous reviews of this hotel. Guests are so dramatic. They complain about the many steps to the entrance, the loud jungle noises, and distance from town. We feel the distance from town is what makes this place feel extra removed from the norm. Of course it's loud in the morning, birds chirp, insects hum. Wear earplugs if that kind of noise bothers you. The rooms (at least twin bunk ones) are built very well. White walls to see if you have any bugs on them. The door has cracks and along it's seam which provide an entry for bus/mosquitos but we really didn't see that this was an issue. The grounds are great to explore. Some of the rooms have quite old fans that are loud when they are turned on. Overall we loved this place and the laid back and chill ambiance it had. We stayed in a room with fan. The location is inside a big garden, which is full of trees, flowers, birds, really a paradise. If you come from Puerto Princesa, tell the van driver to drop you at the path to Bambua. They offered only breakfast (which was good - eggs and toasts with butter), otherwise for dinner (and to buy water) you have to go to the Sabang village. The personal was very helpful in organizing our Undreground river tour (we booked one evening and they got us a place the next morning! ), and also a Hundred caves transport by tricycle (although there were some confusions about it at first :-) ). The electricity was from noon to midnight, which was OK for us. The shared showers and toilets were a bit run down. The wi-fi is nonexisting (but you would do best to buy a local SIMcard with data anyway, it is cheap). From the path below Bambua, there is a very nice view on the Saint Paul mountain through some rice fields (water buffalo included :-) ). Nothing to add nice and cosy place where you can relax and take the rest nice views and you have to walk a little bit up. Beautiful and natural! Incredible grounds that have obviously been well cared for, in keeping with nature. We arrived late (after dark) and the staff was incredibly helpful with getting us settled. We rented the apartment because there were 3 of us. It's open air and yes, it was hot and humid, but it's what we expected. The rooms were huge, especially the bathroom. We had our own balcony. The beds have mosquito netting, which is great! Upon waking up, the view was amazing! The owner got us tickets to the Subterranean River Tour which was amazing (be prepared, you WILL get wet)! Breakfast was simple but good and very inexpensive. We loved all the birds and animals. We are birders so we were in love with the extensive natural view/grounds and saw Olive Backed Sunbird and Palawan Hornbills among many others. We also saw frogs, snails, butterflies and a tuko (huge gecko). The only drawback was the lack of AC or fan in the apartment. Otherwise it was fantastic!! This place is amazing! I was 5 days a guest and enjoyed this great jungle place so much. Great and peaceful nature! beautiful trees and flowers, if you are lucky, you can see the jungle animals like beautiful birds, butterflies, geckos, even monkeys or big lizards. You can enjoy great philipino cuisine and there are great possibilities to go around with the owner of Bambua to make amazing tours close to Bambua, there is so much to see around! The beautiful beach is just a 15 minutes walk away! Nature lovers will love this place! Totally recommend this place for a longer stay! This was amazing, I didn't expect something so good. Perfect place just behind the city or rather village where it's quiet and closely connected with nature. Price value ratio is just perfect. A lot of things to do around and staff is really kind to help you plan your trip. I highly recommand this place! My friend and I loved this place and wished we had stayed longer than one night. The owner was lovely and the staff were generally really helpful. We had dinner here and the food was some of the best I had in the Philippines. There is no wifi in this area and not much to do in the evening - but it adds to the tranquility of it all. A couple of things to note - it gets very dark very quick, so if you do leave the premises, take a flash light - we weren't warned about this and on our way back from visiting the town it got dark very quickly. If we didn't have our phone flash light, it would have been absolutely impossible (and dangerous)to make it back to the hotel in one piece! I think they should print a set out 'helpful information' sheets in all the rooms and provide a flash light for use. We didn't realise there was so much more to do in Sabang then just the underground river - so if you're planning on visiting Sabang, definitely do some research into the other activities on offer. We loved the location, beautiful view of the country side. It's a 10/15 min walk to the town centre. We were in the family room and loved it. Breakfast was ok. The reception was a little cold. They made us feel like we were intruders. Bambua exceeded expectation for me. Though it was basic there was so much character to the property and is set back away from Sabang town in a lovely garden retreat set up. It was peaceful at night, very low key family run set up which we liked and also only a 15 minute walk from the beach. Highly recommend a stay in Sabang - visit the underground caves first thing in the morning and spend the afternoon on its beautiful, scenic beach (which is practically deserted after the hoards of tourists who purely come for the underground river head off in their coaches in the afternoon). The owners were so helpful by giving us rides into town, and giving us great info. Even sorted out our ticket to the Underground river for free so we were the first ones out and beat the rush. They were renovating when we came. But it is located on a lovely lot of land. Fantastic basic place. Feel like Tarzan and Jane in the Jungle. André and his family make your stay pleasant. His wife is a wonderful Cook, the children the best guides. They show you the way in Sabang; the best beaches to go, where to find find the monkeys and lizards. 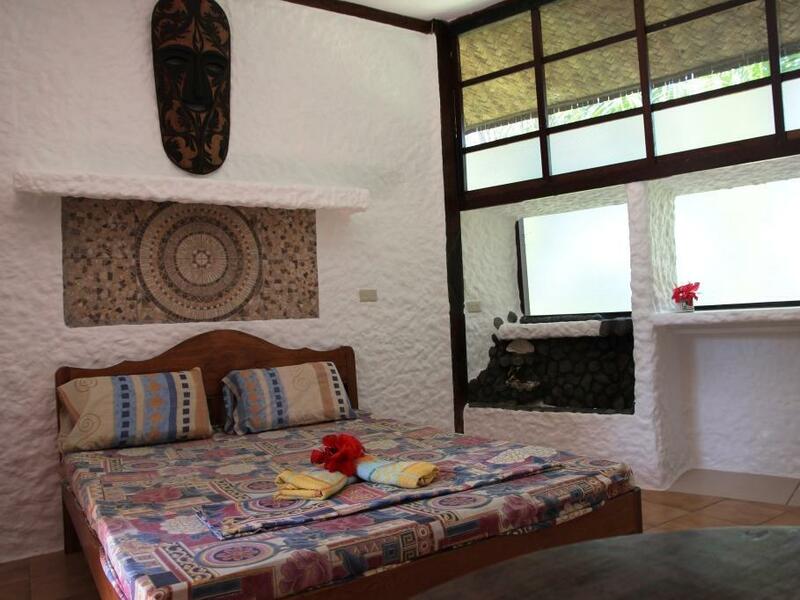 They also arrange your transfer to the airport and the tour to the underground river. Forget about Sheridan; visit Bamboa! If you are a Real adventurist: go with André on his Jungletour. He used to live with the natives in Sabang so knows his way around. A place we will never forget. .. I like that I have to walk a little bit to get to the cottages. Bambua is near the Underground River pier/booking area and along the main road but with wide/long vacant space leading to the reception area/cottages. You will pass by verdant rice fields on the left, see the nice view of a mountain on the right, and you have to climb a short flight of stairs. 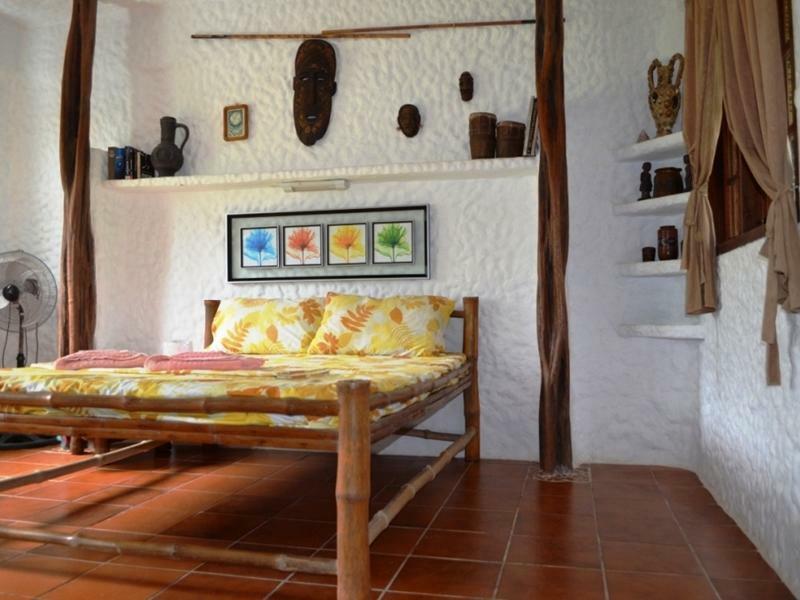 The cottages are surrounded with trees and you can hear the sounds made by cicadas and birds frequenting the area. My friend and I booked a double decker bed, with no aircon, for a very good price. Sabang has no electric utility servicing the whole town. All houses/units rely on their own generators. We did not feel uncomfortable as it was cool in the area, and there was an electric fan and lights on from 4:00 P.M. until 12 midnight. I guess one can request for electric service extension for a fee. We did not need such. As we booked a room with shared bathroom, you have to get out of the cottage to get to the toilet, which may bother some. But for the price, I don't really mind. In addition, I got to see the big bats on the tall trees along the property the time that I have to leave our room during night time. I love nature so I like Bambua. Bring a flashlight and your own toiletries as they do not provide soap, toilet paper, toothbrush, etc. I always bring these items whenever I travel so it is not inconvenient for me. The couple-owner, including their kid, and their helpers were very friendly, hospitable and helpful. 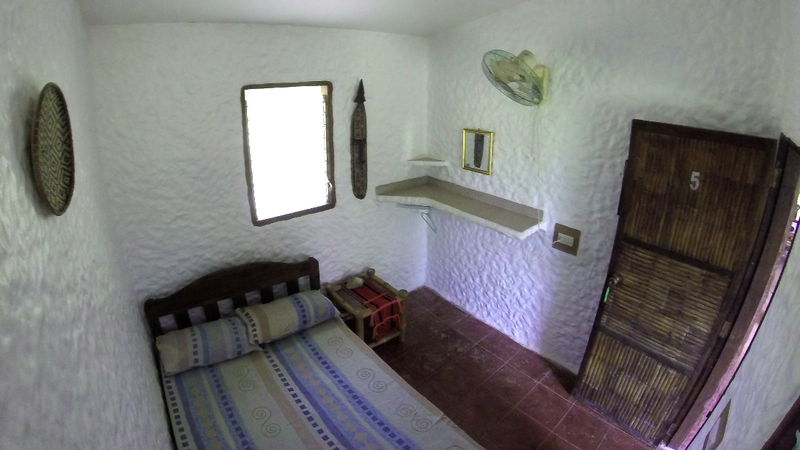 I will recommend this accommodation for nature-lovers and for those who would like to travel on a budget. The place is exceptional and will provide you with a unique travel experience. You will stay in the middle of the nature and feel the real "vibe" of Sabang. The room itself was pretty basic but lovely and authentic at the same time. The staff was overwhelming friendly and caring, it really felt like home after some hours. I would recommend this accommodation to anybody who is looking for a truely unique and genuine travel experience. You will not regret it!